Bryan Hulbert – TULSA, Okla. (January 19, 2019) A finish for the ages, Kyle Larson looked to have his first Lucas Oil Chili Bowl Nationals presented by General Tire in hand, but with a furious run as the leaders worked into traffic, Christopher Bell found the hole on the low line entering turn one on the white flag lap to win his third Golden Driller in a row aboard the iRacing/Keith Kunz Motorsports No. 71w. Starting to diamond corners with traffic in the mix on Lap 17, Larson was glued to Seavey’s back bumper. Getting the run on Lap 20, Larson’s run to the lead came the following lap with a low side pass off the fourth turn. Finding traffic on Lap 48, Larson’s advantage came under fire as slower traffic played to Bell’s advantage. Racing to the final two laps, Bell was there. Looking for room to pass, the opportunity came as the pair raced past the white flag. Tapping tires through the first two turns as Kyle slipped off the bottom, Larson and Bell came together again through the third and fourth turn with neither wanting to give in. Freeing himself from Larson, Bell was able grab the win by 0.350 seconds. 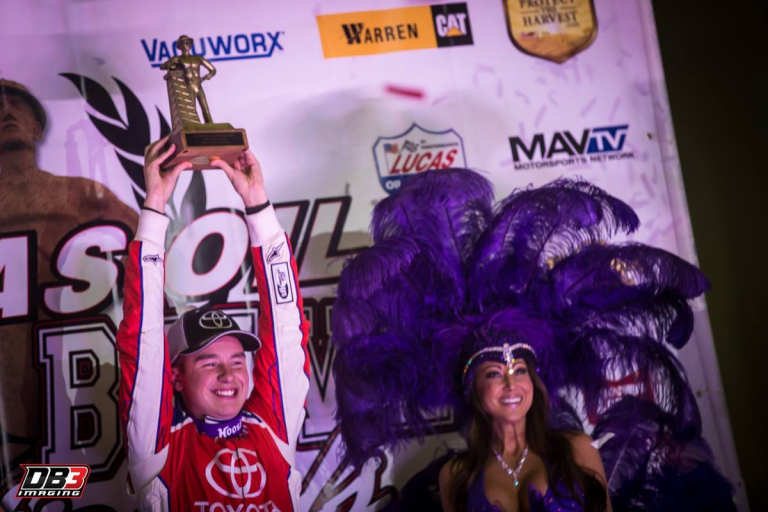 “Never in my wildest dreams did I think I would be able to win the Chili Bowl. To do it three straight times is just unbelievable, but man, I don’t even care about three-straight. What about that race? I don’t think I’ve ever really been a part of a last lap race like that, so I’m just glad that thing came out in the end,” stated Bell who earned Keith Kunz his eighth Golden Driller as a car owner. Falling back to fourth on Lap 23, Justin Grant retook the spot on Lap 36, and held on for the show position in the NOS Energy Drink No. 4a. Racing from seventh, Oklahoma’s Brady Bacon crossed fourth with Zach Daum moving up three spots to round out the top-five. Involved in an earlier caution, Tyler Courtney ended up the night’s Hard Charger as the Indiana shoe was able rebound from the tail to sixth. Brad Sweet in seventh was followed by C.J. Leary, Logan Seavey, and Tanner Thorson. 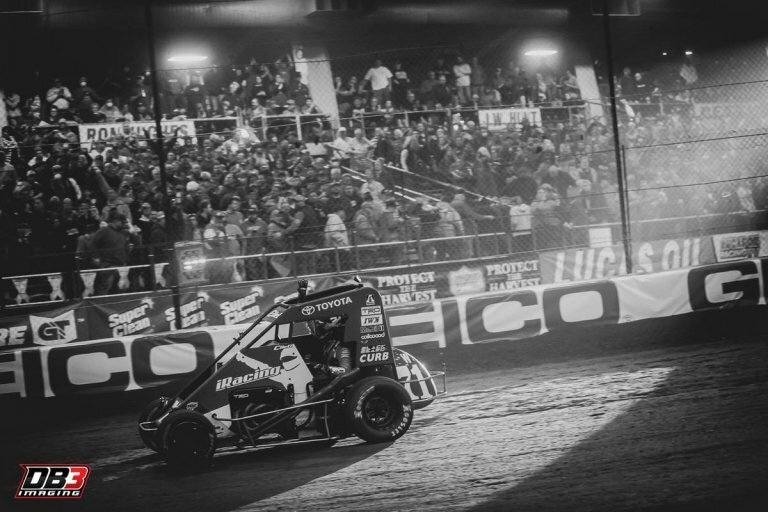 For the 33rd annual Lucas Oil Chili Bowl Nationals presented by General Tire, a total of 350 drivers took part in the 2019 event. The week’s flip count reached 75 with the final car over being Christopher Bell. Attempting to rip victory donuts, Bell banked off the cushion and sent the car over. All drivers getting upside down were able to walk away.